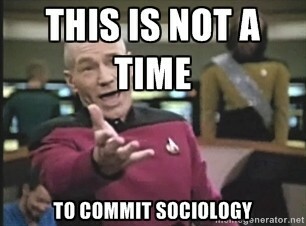 I’m trying to muster up the to say something relatively intelligent (and hopefully Marxist) about the DoOO readings for today, but my feeble brain is still foggy from spring break and DST. Instead, I think all I have right now are more questions. I’d like to believe it, for example, when the person introducing Bitcoin says, “When everybody has access to a global market, ideas flourish,” but I am not sure I believe that on the internet or off. Because, I think, I believe that the free market is the anathema to the idea of the free internet, at least in modern ideological terms, but perhaps my fuzzy brain is not helping me think clearly about this. I do want to know, if Anil Dash thinks that the idea that user flexibility hurts growth is a fallacy, does that mean the opposite is true? Does user flexibility and control lead to a user experience complexity that helps growth? If it is false that exerting extreme control over users is the best way to maximize the profitability, than the author must be at least suggesting that the opposite is true, right? But I am seeing neither how that works nor how you’d convince internet capitalists of that fact. Maybe I am just in a hugely pessimistic mood this morning, which is not like me, and seems especially relevant, because quotes like “What the Internet is going to be in the future is what society makes it” seem to indicate almost we have the opportunity to create (sociologist might say “reify”) an Internet that is free and open merely by imaging it so (and acting as if were so, which is what the practices discussed imply to me). Conversely, a practice of thinking all doom and gloom about where this is going might that fulfill that level of prophecy. It all feels so hugely full of portent, and hell, that might be a fallacy as well. This entry was posted in Faculty Initiative, Uncategorized on March 10, 2014 by admin.